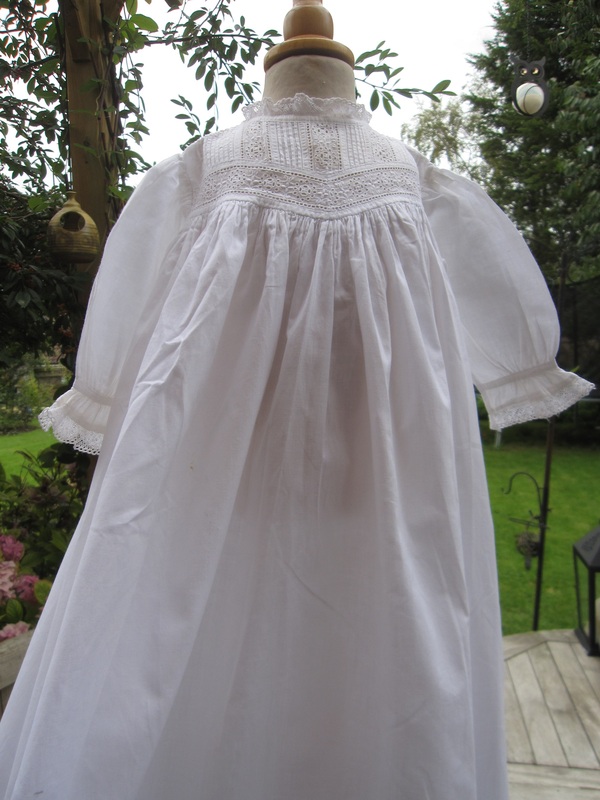 The Claudia Edwardian Baptism Robe is a lovely detailed christening gown with wonderful features of the Edwardian period. 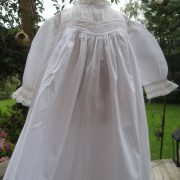 The yoke is exceptionally detailed. 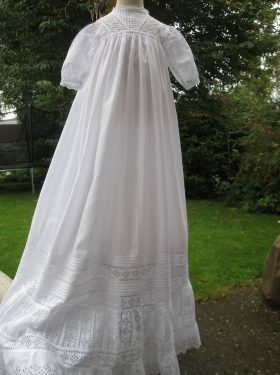 The narrowest of pintucks alternate in vertical rows with broderie anglais insert lace. 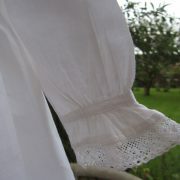 A lovely angled lace band finishes the yoke off perfectly. 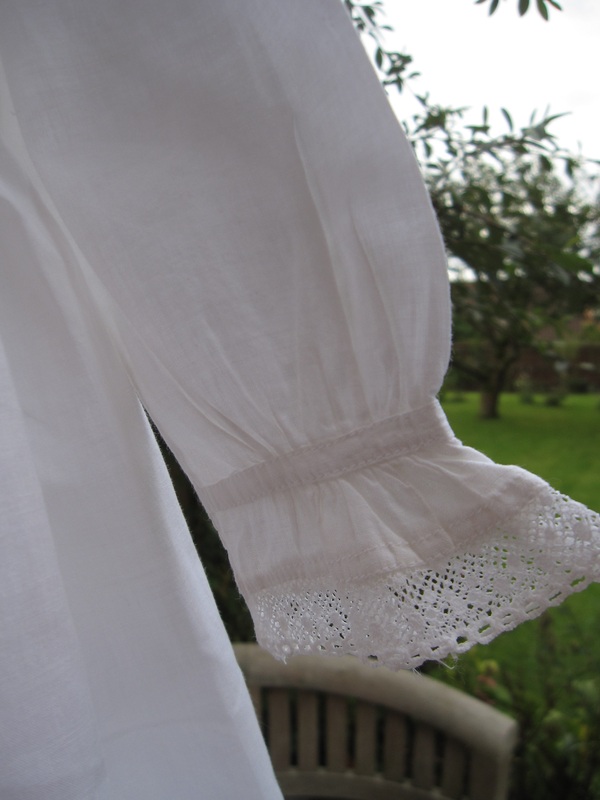 The sleeves are long and have a pretty cuff which gathers into a wrist band. 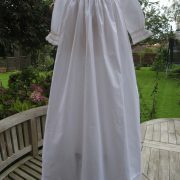 The Claudia Edwardian Baptism Robe has a plain skirt with a simple hemline of broderie anglais. 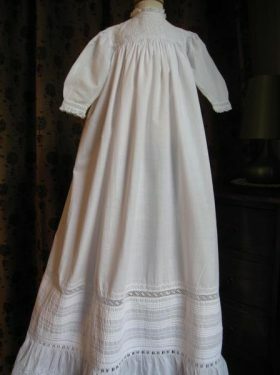 It is understated and perfect for little boys as well as girls. 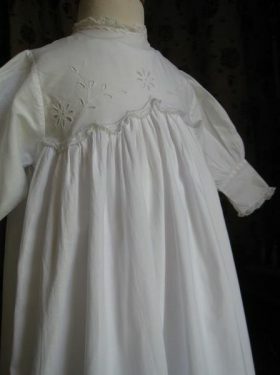 Finally the original cotton button is still attached at the back fastening. 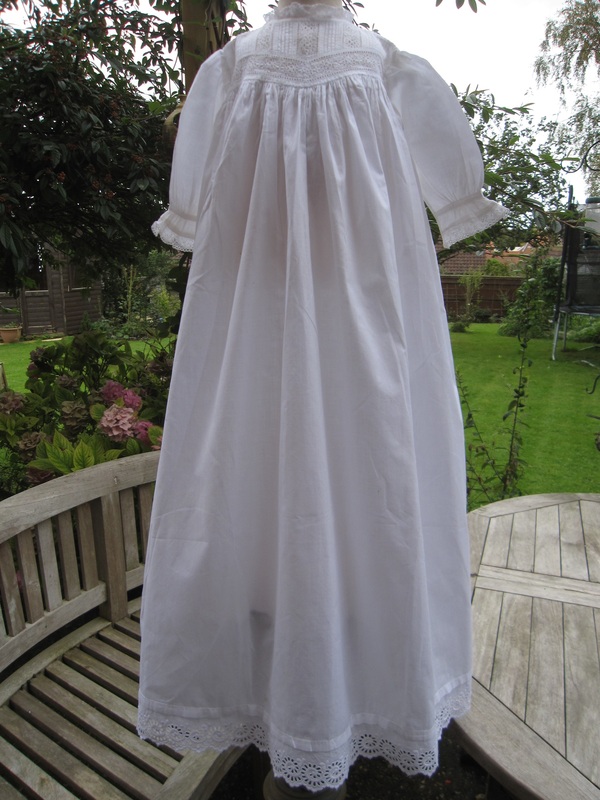 An Edwardian style petticoat is available to compliment this Baptism Gown. Fits an 18 inch chest perfectly. 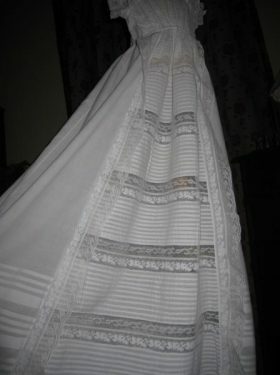 Length 32 inches.